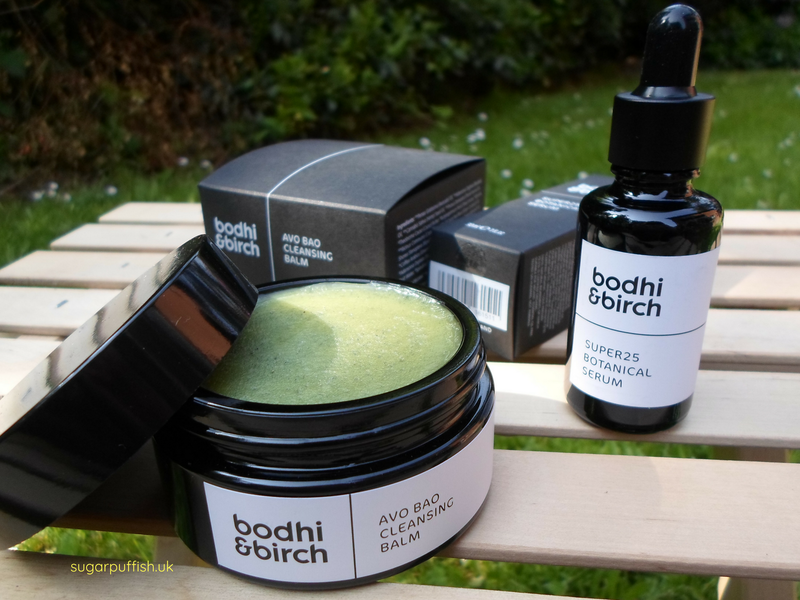 You may have heard that Bodhi & Birch launched a Superfoods Series consisting of five new skincare products – Avo Bao Cleansing Balm, Lemon Water Hydrosol Tonic, Super25 Botanical Serum, Tomato Seed Cleansing Oil and Renshen Root Exfoliant & Mask. The collection is multi-use and mixable allowing you to create a bespoke routine and every product is suitable for Vegans. The Superfood Series is unlike other products from Bodhi & Birch as the range is free from essential oils. I was absolutely ecstatic to hear this. Although I buy Bodhi & Birch for others, I had to cease using them on myself following my diagnosis with linalool* sensitivity in 2014. I’d go as far as to say its a dream come true to once again enjoy Elijah's amazing creations. I had the pleasure of being part of the focus group prior to launch so I’ve sampled the entire range. The stand outs for me are the Avo Bao Cleansing Balm, Super25 Botanical Serum and Tomato Seed Cleansing Oil which will come as no surprise to those who know me. During initial testing phase, I felt these products improve the look of my skin and whilst it might be coincidental there was a significant improvement in my dermatitis. After launch I received a full size Avo Bao Cleansing Balm and Super25 Botanical Serum. The serum is safely stashed away at the moment because I need to work through open products but I know already how much I love it. I immediately got stuck into the Avo Bao cleansing balm and seriously this product is a beaut! It contains some fantastic ingredients – Avocado, Baobab, Green Coffee and Spirulina and one of my all time favourites Plum Kernel. The latter gives this wonderful delicate scent of marzipan and anyone who follows my reviews closely knows it’s a fragrance I adore and talk about regularly. I love when brands are creative with their formulations by using naturally fragrant ingredients that avoid allergens. As a side note, I really would love to see Bodhi & Birch Superfood Series entering the Free From Skincare Awards next year. I’m using Avo Bao as sparingly as possible because I never want to run out. A little goes a long way and it has a wonderful buttery texture. The balm is fragile in the recent heatwave but regardless this cleansing balm feels luxurious to massage across the skin. It’s almost a spiritual moment to cleanse at the end of the day and I take my time allowing a moment to feel like I’m having an expensive spa treatment. Avo Bao cleansing balm is very easy to remove with a damp cloth and doesn’t leave behind a greasy residue. I adore the green colour it makes me smile and stands out from the crowd. The Superfood Series is luxurious and in comparison to others you feel a sense of love, care and attention to details in their creation which warrants a higher price tag. Bodhi & Birch have taken a bold step formulating without essential oils and for anyone who feels unsure about this don’t be, Elijah is a skincare genius these products are truly wonderful, you are in safe hands. *Linalool naturally occurs in some essential oils, it’s one of 26 fragrance allergens which must be declared on cosmetic labels when present over a certain % in the formulation.